Tampa, FL (GLOBE NEWSWIRE) -- ConnectWise announced today that it has acquired Sienna Group, a leading managed security services provider (MSSP), as the company’s first major step to lead managed service providers (MSPs) into the world of cybersecurity. According to Cybersecurity Ventures, cybercrime has risen to $6 trillion annually, or 7 percent of the world’s economy. And the frequency and intensity of cyberattacks continues to grow. MSPs are frequently held liable for client breaches – even when the MSP is not responsible for that client’s cybersecurity services. The capabilities and expertise that Sienna Group offers will provide a means for ConnectWise partners to assess their own business’ cyber vulnerabilities and to learn how to better protect themselves from liability when their customers are targeted by cybercriminals. The acquisition also supports ConnectWise’s strategy to provide an ecosystem of security solutions that are accessible and affordable, especially for its SMB partners who are looking for new ways to expand their set of offerings at a time when these services represent the next big revenue opportunity for MSPs. He said ConnectWise’s holistic approach to security combines tools, education and training. Sienna Group’s robust solutions, especially its ability to provide cyberthreat assessments and its deeply experienced team, are fundamental to meeting ConnectWise’s goal of providing MSPs with a fully integrated security capability. The Tampa-based Sienna Group was founded in 2012 by Ford, a cybersecurity industry veteran who previously served as CISO and CCO of several large healthcare, technology and government organizations. Prior to working at Sienna Group, Ford’s team members held leadership positions with federal organizations and global enterprise corporations. Sienna Group’s solution portfolio includes managed data security services; governance, risk and compliance assessments; sensitive data discovery and classification; and security awareness training. It was named one of CIOReview’s “20 Most Promising Compliance Technology Solution Providers” in 2017. 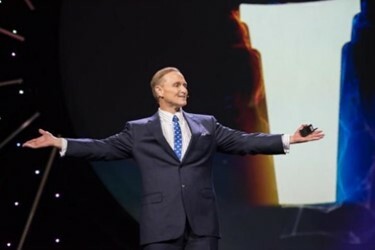 In November, Bellini announced during his keynote address at IT Nation Connect, the company’s annual thought leadership conference for IT business owners, that ConnectWise is providing a cybersecurity risk assessment tool and a vulnerability scanner free of charge for three months to MSPs. To take advantage of the offer, companies are invited to join an online training event on Dec. 6 when Bellini and Ford will provide best practices about how to set appropriate expectations with customers on where customer cybersecurity liability falls, what to do in the event of a breach, and the role the MSPs can and should play. To register for the educational webinar, visit ConnectWise.com/ProtectYourHouse. ConnectWise is a software company that connects technology teams to the solutions, services and resources necessary for success. Our award-winning business management platform automates the full lifecycle of technology service delivery, from sales and service to project tracking and back-office functions, for more than 24,000 partners in more than 65 countries. We believe in an open ecosystem, the power of choice and providing a single pane of glass view. With more than 35 years of experience, ConnectWise delivers the software solutions and the support that companies want at each step of their business journey. For more information, visit www.ConnectWise.com.